Masamichi Morooka, President & CEO of YKIP together with Sakura Kuma, Executive Director of YKIP have met Søren Skou, CEO of A.P. Moller-Maersk in Tokyo during Mr. Skou’s visit to Japan on March 20, 2019. Both of them expressed sincere gratitude to each other for the mutually continuous and effective support in contributing to the prosperity and success for both Maersk group and Port of Yokohama. 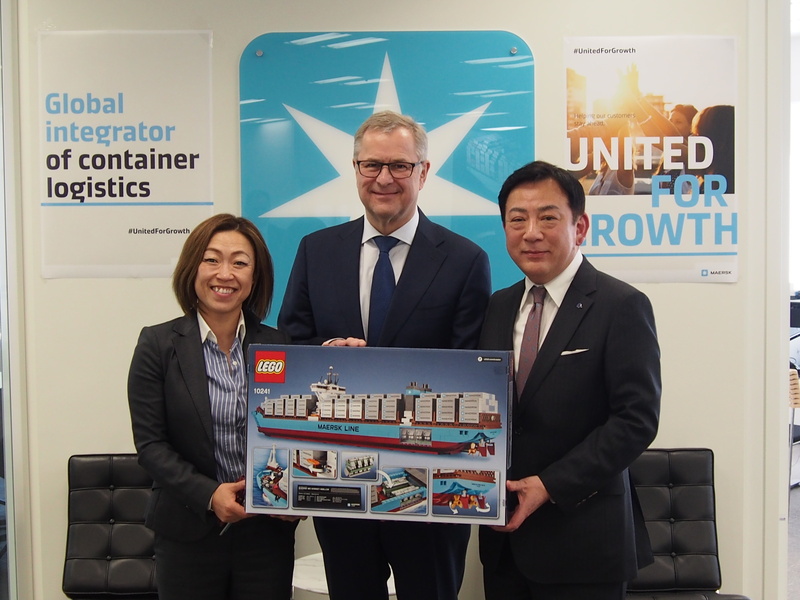 At the end of the meeting, Mr. Skou presented a Maersk Container model ship (LEGO) to Mr. Morooka as a gift.